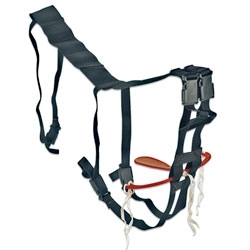 Nylon Adjustable Prolapse Harness. For secure retention of prolapses without the need for stitching. Simple, secure and hygienic. This should be be used in conjunction with a ewe spoon. One ewe spoon supplied with harness. D.E.f.R.A approved.